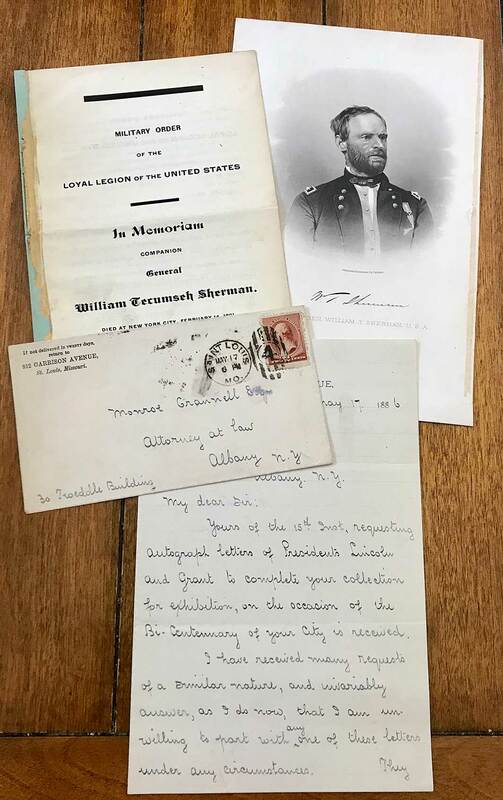 Home > 1861-1865 Civil War > Civil War Autographs > Historic General William T. Sherman LS (plus) concerning Presidents Lincoln and Grant! Historic General William T. Sherman LS (plus) concerning Presidents Lincoln and Grant! 1.5 page letter signed with original cover. Also comes with period steel engraving and MOLLUS obituary for Sherman. In the letter Sherman is turning down a request for letters from President's Lincoln and Grant in Sherman's personal collection. All are in very good condition.